Before you begin to plan for your retirement it's important to know and understand all of the information available. With the increasing amounts of information available today, we wanted to simplify this process. This is why we decided to create the Strong Tower Retirement Kit! 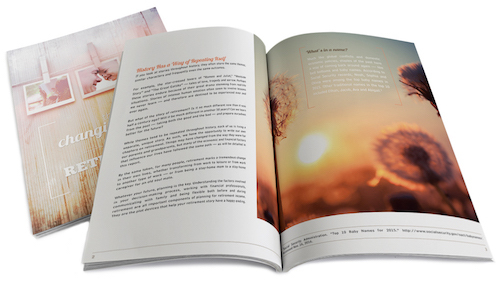 This resource kit is a whole bundle of content including four planning guides. Each guide will have different information regarding retirement planning. Start planning today, and request your copy. What's included in the Strong Tower Retirement Kit. Want to know the percentage of working income you should plan to generate in retirement? The Changing Story of Retirement guide will help you with questions like this and give you information to help you no matter the financial situation. 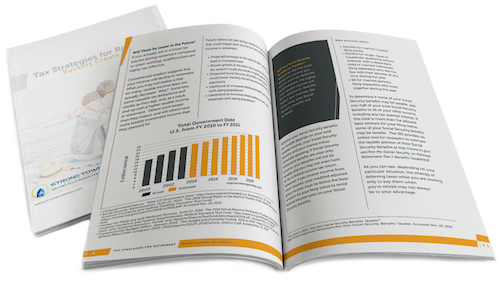 The main topics in the guide will have focus areas to help you consider important factors that may or may not affect your retirement strategy. Knowing what not to do, is equally as important as knowing what to do when it deals with retirement planning. The Guide to Building Your Fiscal House aims at the structure of planning, and what is important. Expect to get helpful information that you can use to help you prepare for common mistakes pre-retirees make. Don't let tax be a burden for your retirement. Different tax strategies are available if you know which one. 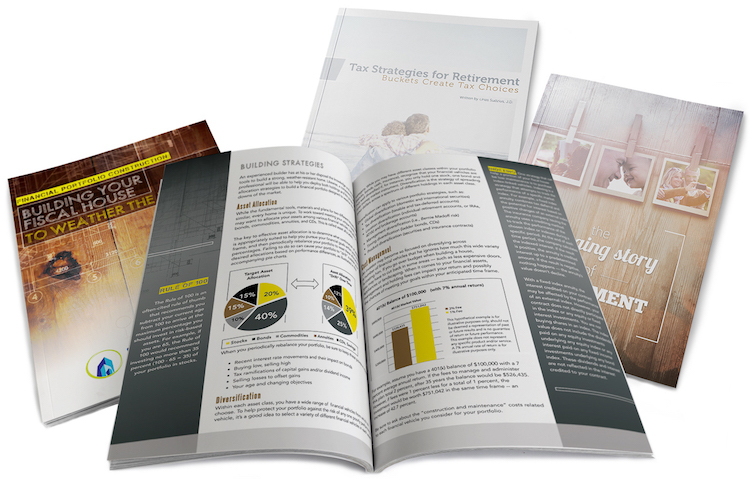 The Tax Strategies For Retirement Guide goes over an abundance of helpful tax information! 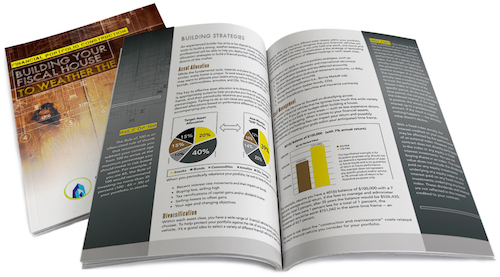 Gain insight into each of the strategies, and understand just how they work. Get your guide today and help you minimize your future taxes! Whether you are almost retiring and want to start planning now, or you want to plan early and retire in the future. 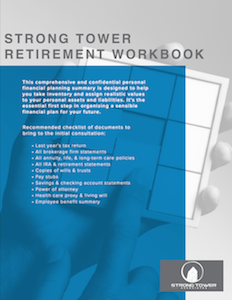 Our Strong Tower Retirement Workbook is for everyone. It was designed to help you plan, prepare, and visualize retirement. Request your copy, and get information to help prepare you and your family, for the process of retirement planning!